Choose from a list of companies and demonstrate understanding of the goals of corporate social responsibility (CSR). Analyze the connection between branding goals and CSR and display on multiple platforms. 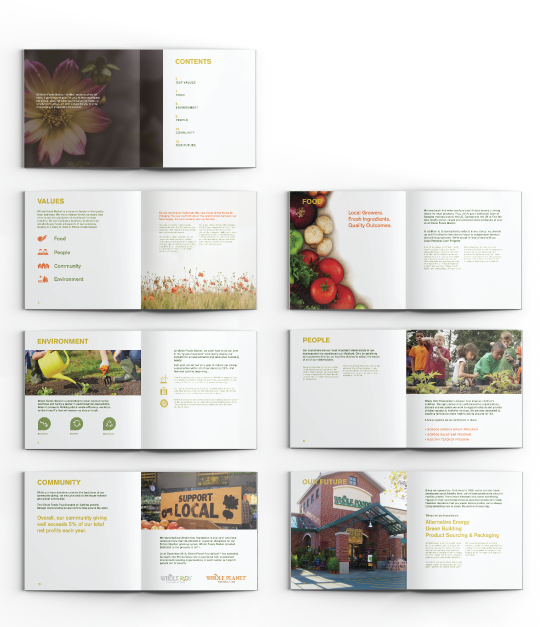 Whole Foods is one of the most socially responsible grocery markets in the business right now, with multiple campaigns and methods for improving society and the environment. I wanted to highlight their actions and showcase them in an efficient way.